Rumors have been around for some time now that Google is doing the next round of Nexus phones a little bit differently with Huawei and LG both producing a phone for 2015. We have seen leaks previously for both devices with USwitch recently posting renders of what appeared to be the LG Nexus 5. Last night on Google+ images were posted to the Google Nexus Indonesia community by a user who claimed to be holding a Nexus 5 prototype. What can be seen in the image appears to line up pretty closely to the renders that USwitch posted. 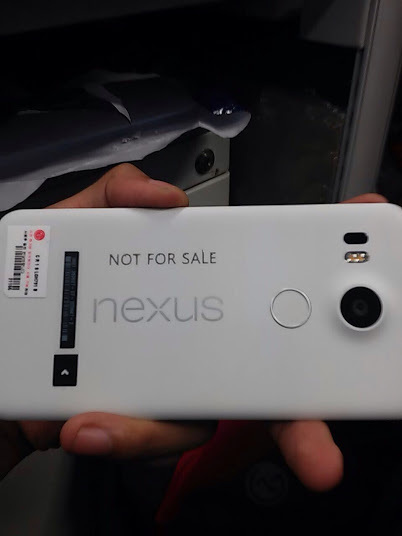 The device is clearly labeled as “NOT FOR SALE”. Is this the Nexus 5? We’re not sure but it looks more than likely. We’ll find out out for sure as we get closer to the tentative fall release dates.